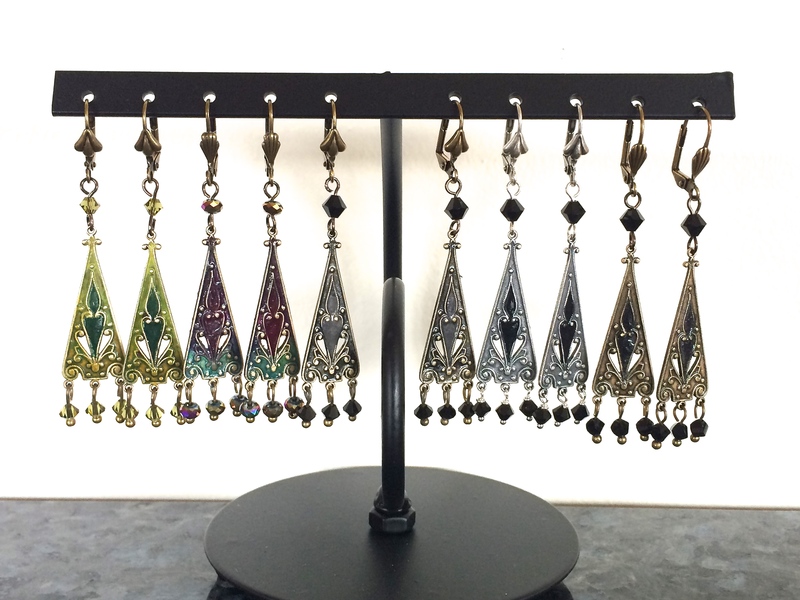 Art Nouveau Earrings A rainbow of hand tinted earrings that are elegant for any occasion! Victorian Ornate Scroll Bracelets Each bracelet is colored and shaped by hand. These can be dressy or worn casually. 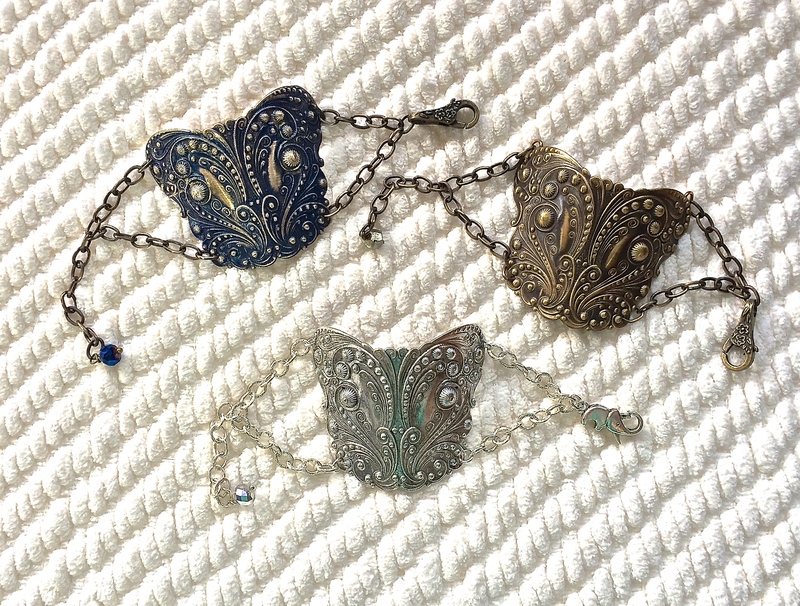 This entry was posted in Bracelets, Earrings and tagged Bracelets, Earrings, Hand crafted, layered stampings and filigree. Bookmark the permalink. 1 Response to Jewels for the holidays! Wow, these pieces are very colorful and festive looking!! !